Sarah Thompson felt she had given herself the best “chance at life” when she underwent a double mastectomy and had her ovaries and fallopian tubes removed. And the mother-of-two from Maynooth, Co Kildare, said her family, friends, the Irish Cancer Society and her employers were there for her every step of the way. 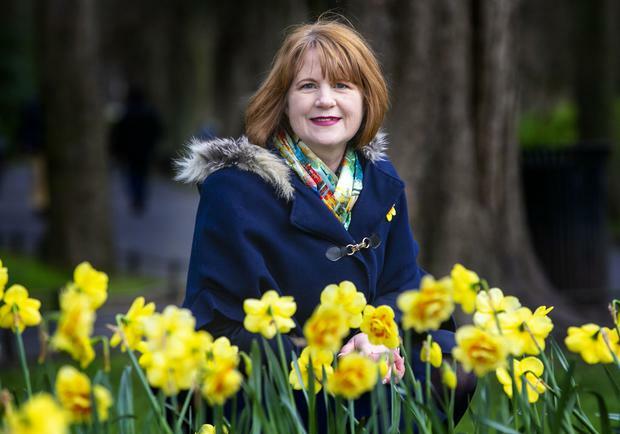 Sarah, 54, was diagnosed with breast cancer in June 2015 and by November that year, she had been given positive test results for BRCA1 - identifying cancer susceptibility in her genes. “I had a double mastectomy and there were so many options available in terms of reconstruction,” Sarah said. Sarah gave her details to the charity and they set about finding another patient who’d had the reconstruction she’d been interested in exploring. “They came back to me a bit later and got a lady who was happy to talk to me, that was amazing,” she said. The stranger helped Sarah make her decision and then when she got the results to the gene test, that was another “very tough day,”but the charity and medics at the Hermitage Medical Clinic in Dublin, were on hand for advice. “Because of the genetic test, I found out the risk of ovarian and breast cancer was increased with the gene, so I elected to have that surgery to lower my risk. “They (doctors) never say your risk is zero but it’s a small risk and anything else was too big for me. “I wanted normality, to be back at work, to resume my life and I was guided every step of the way when I asked for help. “But nothing happens all at once, you have time to process and time to recover after each procedure. The Boots store operations support manager, travels the country to different stores. She praised the company for its special range of beauty products, designed to make women feel feminine during their cancer journey. Sarah is married to Seamus, also 54, who shaved her head when clumps fell out in the shower, after bouts of chemotherapy. And her two sons are James, 31, and David, 27, who as part of a wide family network, supported her as she went through her treatment. “My husband, my sons, my family and friends, were amazing - they really stepped up to the plate and they were there for the good days as well as the bad,” she said. Sarah is keen to raise awareness of the work the Irish Cancer Society does for patients going through the toughest period of their lives.